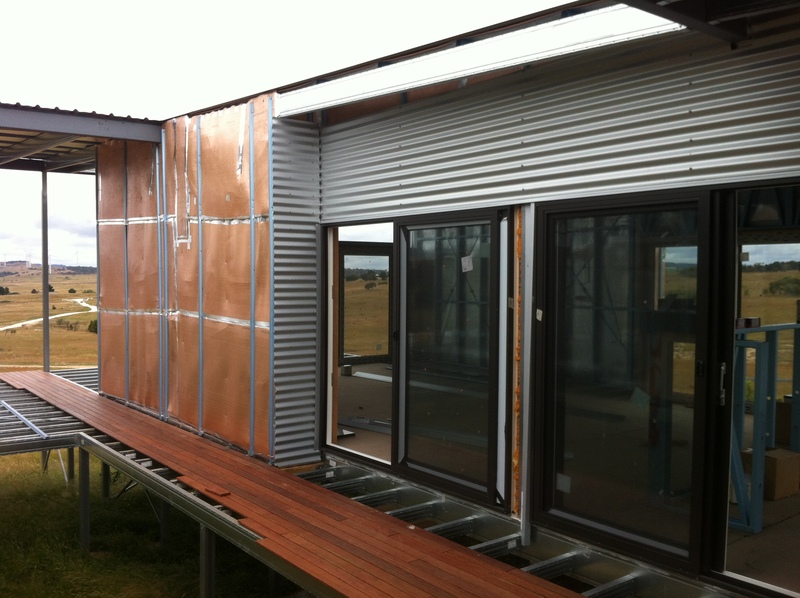 With out a doubt we are going to have the most fabulous looking house in the history of architecture and Nathan is a shoe-in for the BHP Steel design award. What for all the excitement? 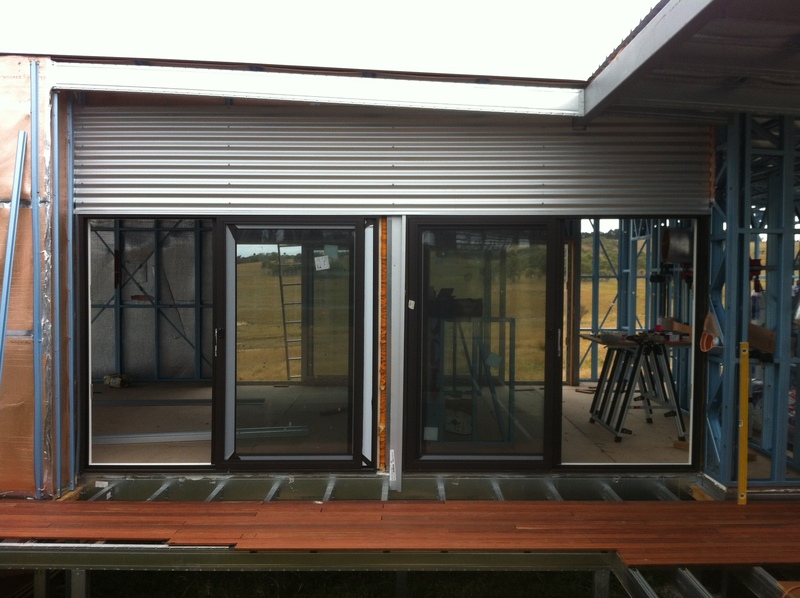 Well today Angus and I put on the first sheets of steel cladding. How the cladding and the flashing fit together is perfect all the time spent segregated in a isolation side room at work thinking about how this would go together has paid off. There was only one moment when I put a screw in the wrong place that resulted in much swearing but Angus saved the day with a solution. All the rest of the swearing for the day was ‘It’s Effing Fantastic’. There is going to be some rum drank tonight. And now for the pics. 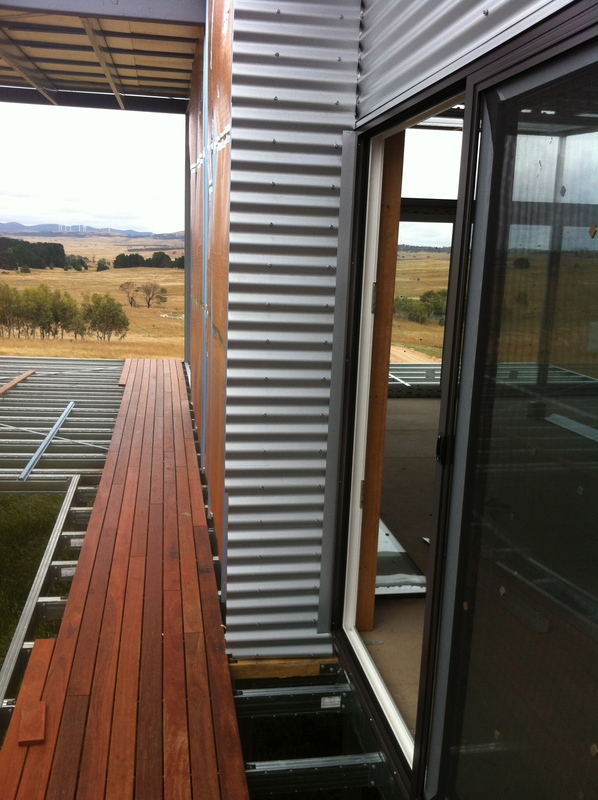 This entry was posted in House and tagged BHP Steel, Deck, Domino Decking Clips, Festool, Festool Domino, Zincalume. Bookmark the permalink.